Save $10 plus Free Shipping by ordering Let's Play Piano Solos Volumes 1-5! Category: Full Set ON SALE NOW! 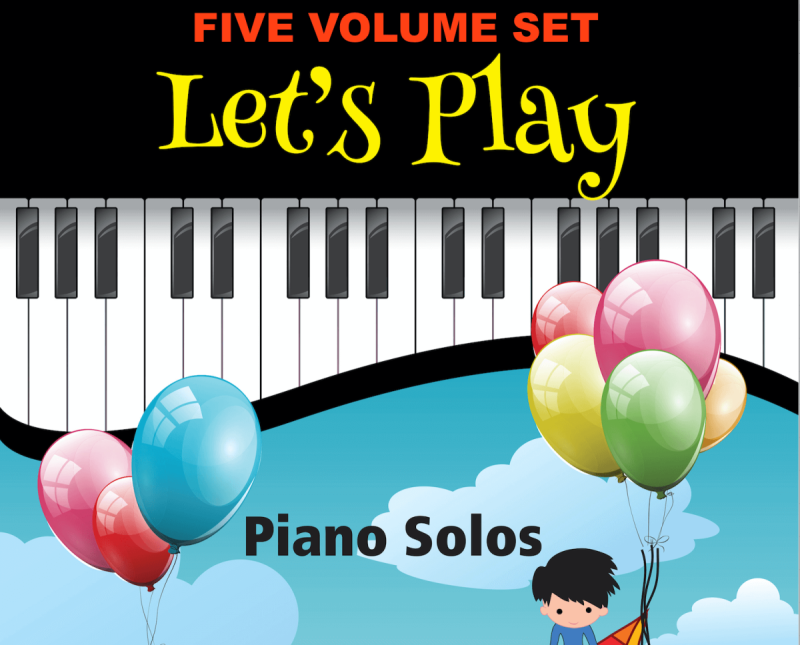 This is the full five volume set of Le'ts Play Piano Solos. See individual volumes for music contents by clicking on the "i" information button for each volume. The music titles are also links to videos of each piece so that you can listen to the music and see samples of the scores.